YEHUD, ISRAEL– Like the day of a child’s bar mitzvah or graduation from school, the day an Israeli child leaves for the Army is one of those milestones forever captured in photographs. But the photograph that Hagit Rabinovich treasures of her eldest son, Ilay, is one she never thought she would have. When Ilay was diagnosed with autism at the age of two, it was clear he would not follow the same path as everyone else and go into the Israeli military. He is considered to be on the low-functioning end of the autism spectrum because he needs 24-hour care and is nonverbal. In fact, he could not communicate with his family in a meaningful way until he was given a computer keyboard when he was 20, and they discovered he could type. When Ilay’s younger brother, Adam, began to prepare for his military service, Rabinovich asked Ilay if there was anything he wanted to say to his brother. In response, words she never expected to see appeared on Ilay’s screen. Years before that, Rabinovich had already been told by the army that Ilay would not be able to serve. While Rabinovich may have wished for Ilay to be able to serve like everybody else, she never imagined it was something he wanted as well. It was not an issue that came up until the family had to prepare Ilay for Adam’s departure for the navy. Then, the words “I want to go to the army, also,” appeared on Ilay’s screen. And they continued to appear again and again. It was not something Rabinovich could ignore, so she felt she had to find an answer for him. As a journalist for the weekly magazine, Israel Today, Rabinovich had come in contact with a program called Special in Uniform in her stories dealing with the disabled community. 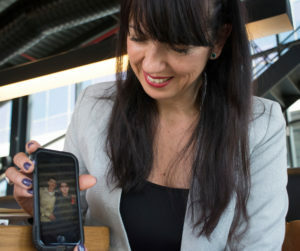 She knew the CEO, Mendi Belinitzki, so she sent him a picture of Ilay’s computer message, along with her own explanation that Ilay wants to go to the army. 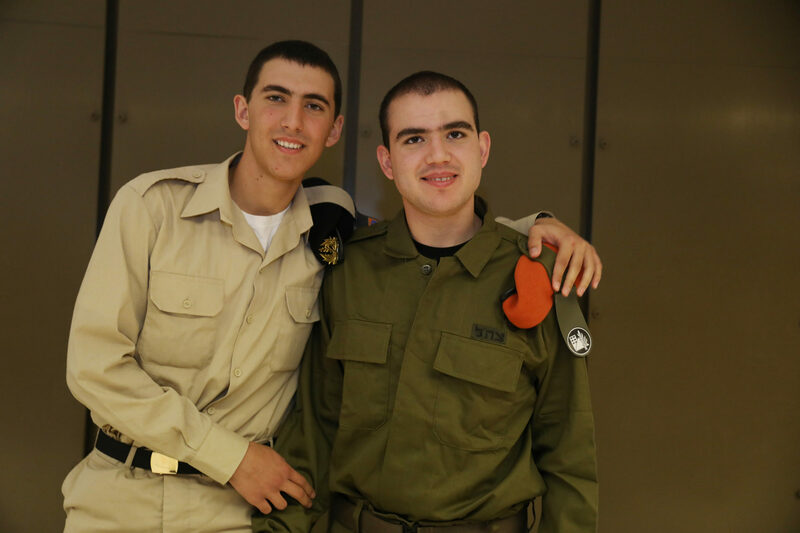 The part of the army open to Ilay and others with disabilities was Special in Uniform – a program unique to Israel. It aims to incorporate people with disabilities into the Israeli army so that they are not denied participation in such a central aspect of Israeli society. The program was dreamed up in 2001 by Lt. Col. Ariel Amoug. He was in the hospital recovering from an injury, and he began to think about the ways to integrate those with disabilities into the military because he knew that they had abilities that could aid the military. Eli and Adam at Eli’s beret ceremony. Adam, 19, came down from his naval base to see Eli, 21, receive the beret. By 2014, the idea had turned into a brand — Special in Uniform — and developed three ways for individuals to participate. They can either become involved through their special education schools, live in designated hostels and go to the base accompanied by a guide or live at home and find their own transportation to the base. About 400 people with disabilities have participated in the program since its inception. Special in Uniform offers a variety of courses and activities to try to develop as many of the soldiers’ life skills as possible. They work on nature preserves to learn about conservation and with the dogs at K9 units. There are special trips to bases where they go through physical training similar to the boot camps that regularly enlisted soldiers attend. Beyond the special courses, the soldiers also participate in routine work essential to the operations of the military at home and abroad. For example, when an earthquake devastated Haiti in 2010, nations around the world sent relief supplies. Many of the boxes bearing the Israeli flag were packed by Special in Uniform soldiers at a command base about nine miles south east of Tel Aviv and 6,500 miles from Haiti. The emergency supplies packed at the Machne Arad base also help with situations closer to home, including air attacks, collapsed bridges and traffic accidents. Levy said he hopes the skills he learns in the program will help him later in life. He likes to cook omelets, so he is considering a career as a chef. Self-confidence and empowerment were common themes expressed in the interviews with the Special in Uniform soldiers. “To wake up in the morning to the army, it’s bringing me power,” Linoy Savach, a 25- year-old Special in Uniform soldier, said. The eagerness of the Special in Uniform soldiers to work has more than just practical benefits for the base — it has helped improve the work ethic of everyone at the base. For many of the soldiers– both the regular enlistees and the Special in Uniform soldiers, their work together at the base is the first real interaction between the two populations. Prior to joining the military, they rarely mix because they usually attend separate schools, despite recent integration attempts, Benzimira said. Usually, military service is the time when different people come together and encounter each other. But until Special in Uniform was created, people with disabilities were not an ingredient in the pot. So when the Special in Uniform soldiers are placed at a base, they are introducing many of the enlisted soldiers to another part of Israeli society while also impressing them with the dedication they put into work that, for them, is not mandatory. Despite the benefits of having Special in Uniform soldiers on base, there are still many commanders in the IDF that do not want to open their bases to the program. The program does not receive money from the government — it is funded by the Jewish National Fund, which originally was for buying land in Palestine but evolved to support development and defense projects– but it takes a lot of manpower and preparation. The base and the soldiers that work with the Special in Uniform soldiers must be prepared, the commander must find enough jobs for them to do, and the program has to determine what position is the right fit for each individual soldier. As a result, there is a waiting list. Part of the Special in Uniform soldiers’ drive comes from their knowledge of what it would be like if they weren’t given the opportunity to join the military. “I’d be breaking walls if we were speaking with four walls around us,” Chagai Yosef, a 23-year-old Special in Uniform soldier, said. Instead, he and his unit get to help the Israeli military, learn skills to help ensure their future and dream about the approaching day when they are awarded their berets and diplomas, the culmination of military training. 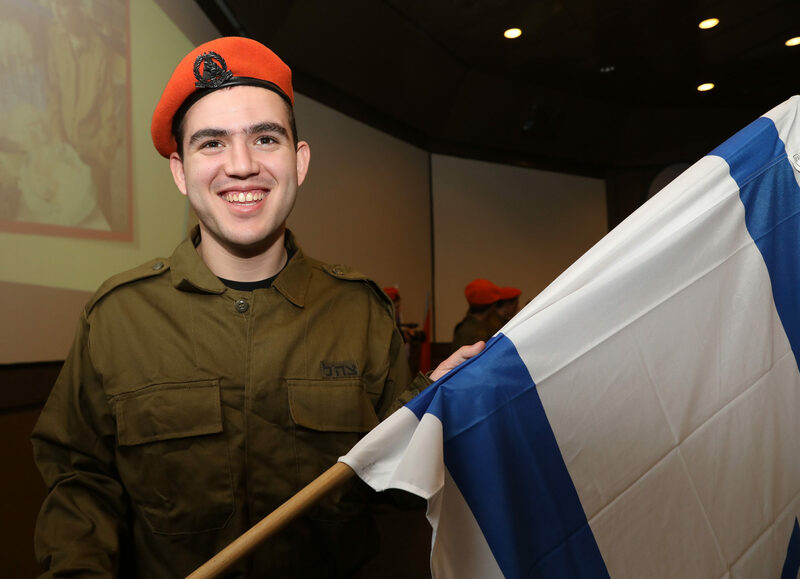 Although he is only 21 and still in school, Ilay Rabinovich has already earned his beret. After telling Rabinovich that he would help Ilay join the army, Belinitzki made good on his promise and found Ilay a place at an on front command base in Ramla, which he goes to on Mondays and Wednesdays, along with his guide. There, he sorts medical supplies. Like the soldiers at Machne Arad, Ilay is happier when he is working. He smiles more on the days he goes to the base, Rabinovich said. Consequently, so does she. On the day Ilay earned his beret, his whole family went to the ceremony, including his brother Adam, who arrived from his own base to celebrate. As Adam watched his brother receive his beret, he started to cry.